She is often treated in 19th Century literature as a product of sin or a whore to be saved or dismissed, but the story of the mulatto woman is much grander than this. In my newest novel, The Secret Life of Lucy Bosman, I present another image of these women – of women in general – as patriots, entrepreneurs and realists. I was actually inspired to write this novel by a story I read in an 1862 issue of the local newspaper here in Richmond, Virginia – The Times-Dispatch – while I was doing research for my other historical fiction novel, Murder on Second Street. 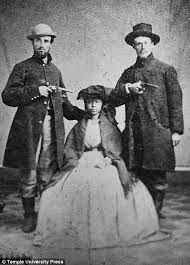 In the report, a mulatto woman is arrested and accused of prostitution – corrupting the morals of white men – during the Civil War. I found the story fascinating because prostitution was rampant during the war, but here they were arresting a mulatto woman for doing what many white – and other colored women – were doing. That story stayed on my mind for two years until I decided to enter the National Novel Writing Month (www.nanowrimo.org) contest again in November 2013. It was the perfect time to write this story especially as we enter the 94th anniversary of the passage of the 19th Amendment which not only gave women legally the right to vote, but made them officially American citizens. There are three reasons why I feel readers would like to support such a work. First, the mulatto woman has historically been represented in literature (and film) as a helpless creature destined for ostracism or to be some man’s whore. Also, many of our secondary and undergrad students are not taught that women did own successful businesses during this period: that not all of them were willing to give up their property and what was rightfully theirs because the law of the land said they were women and did not have a voice. Marriage was not to a woman’s advantage in many respects during the 19th Century and well into the 20th. Finally, it’s a different perspective as to how the Civil War forced people, but mainly women of all colors and class, to put security and safety over morality and human rights. The institution of slavery forced people to hide and forgo true love for racial superiority. It’s the greatest tragedy! In November 2013, I won the novel pitch contest by www.authorsensei.com and as part of my winnings, we have created a crowdfunding campaign to raise funds for editorial services, print production and a few more fun things. Please support my efforts to prepare this book for publication by pledging to a monetary donation of at least $10 to http://pubslush.com/books/id/1425. You can read an excerpt from the novel as well as more personal insights from myself. I am offering some wonderful rewards in exchange including a signed copy of the book upon its release next month. Please share this link with others who wish to honor the spirit of women in America – past and present. 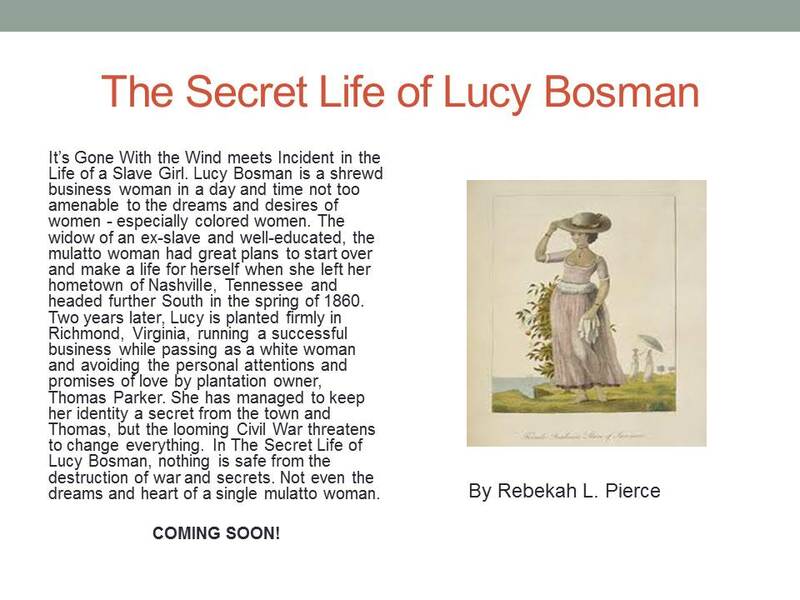 The Secret Life of Lucy Bosman is the story of love, race, entrepreneurship, gender and war. It is the American woman’s story – black, white, yellow or brown! And I wish to share it with the world. Images courtesy of Black-face.com and Pinterest.com. This entry was posted in education, empowerment, entrepreneur, inspiration, Novel, women businessowners, Writing and tagged African American Literature, American History, black historical fiction, Civil War, crowdfunding, entrepreneurs, fiction, historical fiction, novels, romance, storytelling, women, women's rights, womens literature, writing. Bookmark the permalink.